I just left the FANUS conference after 3 days of presentations and discussions. Isatou Jallow at NEPAD presenting on the key role of women in nutrition-an impassioned and evidence based presentation; Martha Ayagaya the new Africa Nutrition Director at CIFF gave a great talk on governance and accountability; Ferew Lemma and Anne Bossuyt presented carefully but passionately on the new PSNP4, designed to be more nutrition-sensitive; Lindewe Sibanda, FANRPAN, presented ATONU, a new initiative for integrating nutrition into agriculture programmes; Prof Amadeus Kamagenge on Tanzania’s promising new safety net programme; Prof Tola Atinmo on human rights and nutrition; Prof. Joyce Kinabo on Agri-Diet, the Irish Aid funded project on agriculture and nutrition; and Suneetha Kadiyala on Agriculture Nutrition Health Academy, launched on June 3 at the LCIRAH conference. The academy aims to establish a global network of researchers to work on agriculture and nutrition linkages and how to strengthen them. I hope they focus on the academy bit in particular and contribute to a new generation of researchers and practitioners for who linkage comes naturally. One of the large pharmaceutical companies announced the introduction of a website billed as a one stop shop for nutrition. Very unfortunately the information given was incorrect. Under the “0-6 month baby feeding guide” it says that breastfeeding exclusively for the first 6 months is “suggested” and that “if you want to bottlefeed your baby start with …”. Well, either the company was incredibly sloppy, or deliberately misleading, or both. Either way they need to get their printed facts right and then put in place a set of scientists that are named and widely respected to validate the accuracy of their website so that it does not become a one stop shop of misinformation and harm. This kind of thing spills over to more responsible companies, giving them all a bad name. They should not tolerate it and nor should we. Perhaps the presentation that took me most out of my comfort zone, in terms of methods and biochemistry was that by Prof Andrew Prentice on the epigenetics of embryo development. His work in the Gambia on this has been published in Nature and widely reported on but this was the first time I had heard it in person. Engaging as ever, Andrew took us through the research step by step. He and colleagues found that babies conceived of in the hungry season, when preconception nutrition status of women was worse, had more methylated DNA (how cells lock genes in the “off” position) and there is some indication that the genes involved relate to immune system development in the early embryo. One of the implications is that pre-conception nutrition status might be even more important than previously thought. If this all holds true with another 18 months of research to check robustness then the strong implication is that we need to find practical programmatic ways of improving adolescent nutrition status (girls, but also boys). Andrew was careful not to frame this as a challenge to the 1000 day window from conception to 2 years old, rather talking about the importance of getting ready for 1000 days. So what would those practical programmatic interventions be? Good question. There were some really talented African researchers at the Conference. There needed to be more external support, however, as not many external agencies and not many researchers from outside Africa attended. Big thanks to Joyce Kinabo, Bjorn Lundqvist and the team--and Tanzania--for being such great hosts. 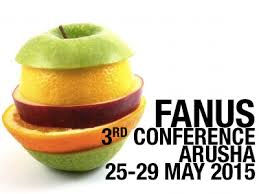 FANUS 2015: African Nutrition at the Crossroads. But which one? For the past day I have been attending the Federation of African Nutrition Society (FANUS) conference in Arusha, Tanzania. The Conference is called “African nutrition at the crossroads”. The question is, what does that mean? *Just as progress is being made on reducing stunting rates, overweight and obesity are increasing rapidly on the continent. Africa’s choice? How much effort to expend on preventing overweight, obesity and the related NCDs at risk of diluting the effort to reduce undernutrition? This is somewhat of a false (budget) choice because many of the nutrition related NCD choices are about policy rather than spending. And the rise of nutrition related NCDs means an even greater focus on African food systems - they are at the heart of all forms of malnutrition reduction. Again, no tradeoff there, just a strengthening of emphasis on health and nutrition. *The commitment to reduce undernutrition on the continent is high—but will this be translated into actions and impact? This will be harder than building commitment (which was not easy! )—the temptation to give up in the face of difficulties must be resisted. Budget allocations to nutrition need to be increased. Frontline nutrition workers need to be hired. The coverage of programmes needs to be expanded and monitored. *Economic growth is strong in many African countries. 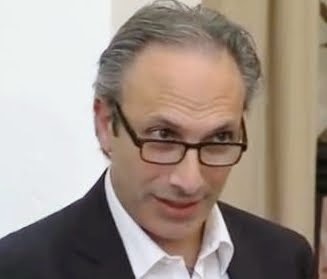 Their Ministers of Finance face a decision: invest in the productivity of the next generation so that the coming demographic transition can be a demographic dividend or invest in unsustainable short term fixes that are electorally attractive? *The MDGs applied to all low and middle income countries, but were mainly focused on Africa. This will not be the case for the Sustainable Development Goals. Africa’s voice will be diluted in the SDGs unless the countries become more active in shaping the agenda, and nutrition--represented so poorly in the latest publicly available SDG drafts—desperately needs African outrage to move nutrition higher up that agenda. Many other regions are at these crossroads, but it seems to me that the consequences of taking the wrong paths are intensified in Africa. Africa has more time than Asia to deal with nutrition related NCDs and it needs to use that time well. Africa faces more challenges than other regions in terms of low nutrition budget allocations and the low number of frontline nutrition workers, but these are also opportunities—the case for increasing the allocations has never been stronger, especially from such a low base. Tax revenues are growing more rapidly in Africa than elsewhere, partly because from low levels, and decisions made around how to spend those taxes will be difficult to undo in later years. Finally, Africa has a lot of moral authority to exert its influence over the SGDs—African countries are affected more than other regions by the actions of the high income countries (think climate) so African countries can use that authority to raise the profile of nutrition within the SDGs. All of these crossroads are presenting themselves to African decision-makers—those within and outside nutrition. The consequences of getting it wrong have never been higher. But so too the benefits of getting it right. Biofortification is one of those ideas that seems too simple to be true--good nutrition for crops is good nutrition for people. But it also seems to face many hurdles to bring it to fruition. For example, is it really possible to find or breed varieties of staple crops using conventional breeding methods, that are high in key micronutrients, that improve yields (or at least do not lower them), that don’t affect the appearance, texture or taste of the food, and can be afforded and consumed by micronutrient deficient populations in sufficient quantities (with their micronutrient content remaining bioavailable)--to make a difference to their micronutrient status? I make that about 10 hurdles to overcome. Well, for Pearl Millet in India, the race seems to have been won. The answer to the multipart question is “yes”. What is the evidence? 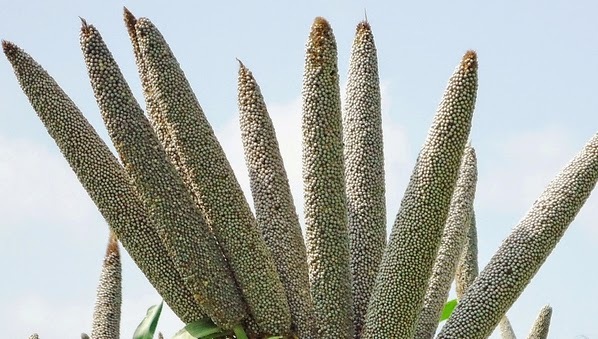 Well, a new paper in the Journal of Nutrition reports on a randomized trial of iron-fortified pearl millet in school children of 12-16 years of age in the Indian state of Maharashtra. The trial, overseen by the highly experienced Cornell nutritionist, Jere Haas, finds that the consumption of biofortified Pearl Millet (eaten in the form of Bhakri bread) for 4 months by the 12-16 year old children resulted in them being 1.6 times as likely to be iron-replete as the children eating non-biofortified Pearl Millet. The study has limitations. It was done in a boarding school setting and so the school meals provided more structure than family meals. Also 28% of the study population was anemic, which is lower than many such populations. These factors limit the external validity of the study (i.e. how likely is it to be generalizable?). The authors recognize these limitations and outline how future studies should deal with these issues. Nevertheless this is a big step forward for biofortification and the HarvestPlus programme behind it. This is the first such trial to show such strong effects on iron deficiency. With over 2 billion people deficient in one or more micronutrients, we should be looking for all potential pathways—diet diversity, supplementation, fortification, and biofortification—to perform at high levels to eliminate this hidden form of malnutrition. Biofortication seems to be charting one clear pathway to improved nutrient status, but they are all important. I very much hope we get many more of these biofortification efficacy (and effectiveness) studies and that as many as possible show positive impacts. If the pearl is the oyster’s autobiography, as the saying goes, then this study may be the midpoint of biofortification’s biography.